As a marketer, you need to produce many content to connect with your audience. And creating content takes huge energy and time. But think big players can create tons of content. How? This book provides you a clear, concise and actionable strategy to create content and get content marketing success all within your budget. The book also includes content marketing templates to take actions and get results. A must read for all online marketers! Most of us struggle to find great content ideas for our websites and blogs. You are always looking for what to write for your audience and sell your products or services. If so, this book is in rescue for you. With this book, you can generate lots of content ideas easily and very quickly. You’ll learn 5 types of content that impress your visitors and subscribers to buy your products or services. 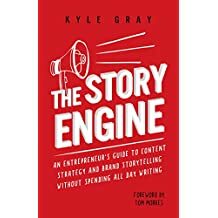 If you are looking for things about generating content ideas and creating magnetic content your audience will love to read, this book is for you. 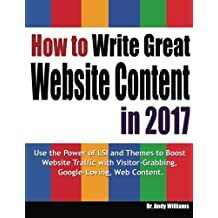 Andy Williams is a known SEO author, writer and creator of Web Content Studio, a tool to write great content that Google will love to rank high. 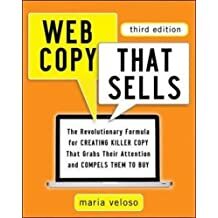 In this book, the author teaches to create best content that people will like to share, people will like to link back and Google will like to rank higher in the search result pages. From the book, you’ll learn ideas, tips and strategy to create great content your visitors will be happy to read and Google will stick to rank at better positions despite any future algorithmic updates. A must-read book! 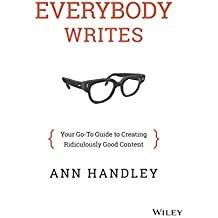 One of the most popular books about content writing and marketing! 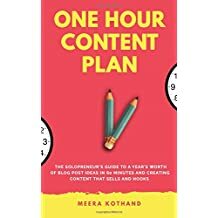 Great content drives customers and the author teaches you to write compelling content for your webpages, social media, emails, marketing offers and more of the 17 specific kinds of content. Read the book and learn about content tools to get the job done. When will a customer buy your product or service from your site? That is very important to know as you run your online business. Read this guide to write copy for your new website or to update existing web copy. In this book, you’ll learn 6-step process to create selling content. 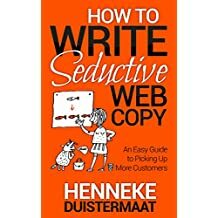 Learn also web copy writing mistakes in this book. A well written content is a must. 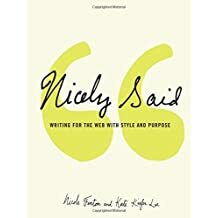 In this book, learn new information on content strategy for websites, search engine optimization (SEO), and social media to optimize your writing for the web. Learn from new content examples. 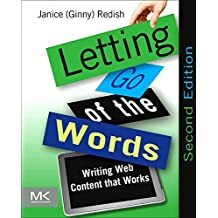 Learn writing good content with easy-to-follow guidelines in this book. Using storytelling techniques with essential skills and tools in a Web author’s toolbox, you can write persuasive content for web pages. The book focuses on writing practices and guidelines, with exercises and prompts developed and tested by the author. 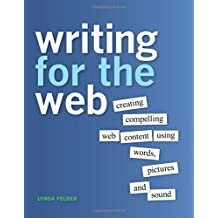 This book is useful for those who are new in web writing career and professional writers looking to enhance their skills. Learn from real-world examples and interviews with people who put these ideas into action every day. In this updated book, the author teaches readers proven methods to excel their online sales and marketing efforts. You will learn to use psychological tactics, create effective, highly-targeted Facebook ads, test copy to maximize response, write online marketing video scripts, create compelling copy for interactive advertising banners, high-converting video sales letters. It is not about just writing web content you need, you need also create findable content for Google users. 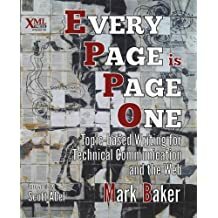 In this book, Mark Baker looks beyond the usual advice on writing for the Web, and beyond the idea of topic-based writing to explore how readers really use information in the digital age and to lay out an approach to planning, creating, managing, and organizing topic-based documentation that really works for the reader. Read the books and tell me how much helpful to you from them. I’ll appreciate for your valuable comments about the content writing books. If you don’t have any good content for visitors, Bounce Rate will be high and your business can’t be a profitable one. Read these best books on writing web content, useful to create great content. When I made this list of books, I selected the latest books published in 2014. I want to purchase one of this book.How can I get it .pls help. Click on the book title you want to purchase and buy on Amazon with your credit card. I regularly fail at writing a great headline. I usually fall back on writing a headline that describes the article well, but does a poor job of enticing the casual reader. Thanks for reminding me to put in a little extra effort to make it better. Truly valuable note on how books help aspiring writers for Internet. I follow Julia mccoy facebook page. Thanks for sharing. The list is quite helpful thanks for sharing and keep posting more.